From 09. - 16. 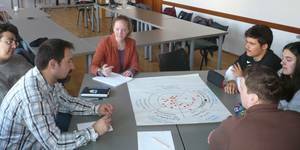 March 2013 Lena Wäbs and Frank Corleis travelled to Romania to carry out training courses for the projectpartner and -schools. 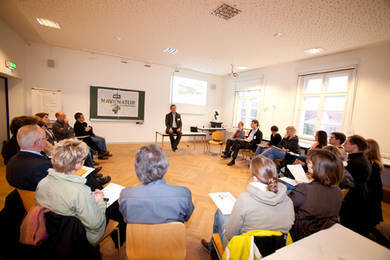 A further NaviNatur training seminar was held on February 05th in Lüneburg. The programme points were the current project status, a feedback discussion and the further project planning. On the 2nd October the pupils of the Secondary School Sf. Gheorghe (Donaudelta) travelled to Germany to meet their friends again. The pupils from the Haupt- und Realschule Salzhausen and the IGS Lüneburg welcomed the guests in Lüneburg and they had an interesting time in Germany with a Welcome Party, an official reception in the Lüneburger town hall and a theater visit. In the Biosphere Reserve Elbtalaue an exciting GPS-tour was developed. The pupils of the Liceul Teoretic Joseph Haltrich Sighisoara travelled to Mölln by train to visit their partner school, the Marion-Dönhoff-Gymnasium. For 10 days the group untertook several joint activities like excursions to Hamburg, Lübeck and Travemünde. Furthermore they did create GPS-tours in the Biosphere Reserve Schaalsee. The Integrierte Gesamtschule Lüneburg and the Haupt- und Realschule Salzhausen went with each ten pupils und two teachers to Romania. 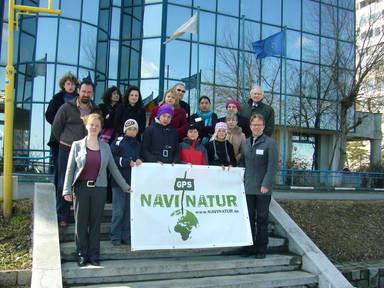 GPS-Tours were created in the Biosphere Reserve Danube Delta. 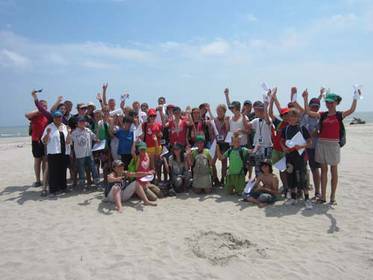 The pupils developed "Points of Interests" around the topics animals and plants in the Danube Delta, the development of the fishing village Sf. Gheorghe, What means Biosphere Reserve? and the utilisation of wind- and sun energy. On 8 June the pupils did return home full of new impressions and experiences and are looking forward seeing their new friends again in October. 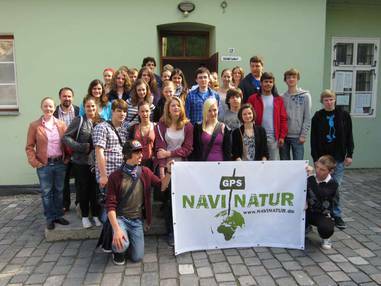 The pupils from Mölln visited their partner school Joseph Haltrich in Romania to create GPS-tours in the natural park Breite. The pupils worked with a lot of joy, got to know each other and deepened their knowledge relating to sustainable economics, cultural diversity and biodiversity. New friendships were made and to work on a common project brought the classes together. All participants are looking forward seeing each other again in September! Within the framework of the project „NaviNatur - School Exchange between Romania and Germany“ Frank Corleis, Sigrid Vogelsang and Lena Wäbs from the SCHUBZ did carry out training seminars for the project partner and -schools on the topic "Education for Sustainable Development with digital media" in Sighisoara and Tulcea, Danube Delta. The first training seminar on the topic of "Education for Sustainable development with digital media" took place. Anne Spiegel from the Biosphere Reserve Hitzacker, Annka Mickel from the Biosphere Reserve Schaalsee and the participating schools with two teachers and two pupils took part. The agenda and the picture impressions can give an idea of the day. The Kick-off event was a complete success! 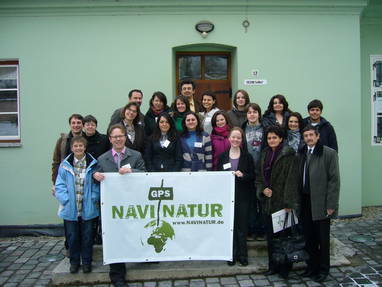 So the international project NaviNatur, designed by the Center for Environmental Education SCHUBZ, was launched. You are welcome to download the press release and the press reviews.